Yuma Irrigation District (YID) was organized in 1919 and consist of 10,900 acres. Located to the south of Gila and Colorado Rivers and east of the City of Yuma in what is known as the South Gila Valley. From its organization, until 1965, the District was irrigated by groundwater from deep well diesel and electric pumps owned by the individual farmers. Following the application of irrigation water by the Bureau of Reclamation (USBR) to lands on the Yuma-Mesa to the south of and at a higher elevation than YID lands, there was a significant increase in both the salt content and surface elevation of the groundwater. In some areas, the land became water logged and useless. Recognizing the problem and its responsibility, the USRB installed drainage pumps and continues to operate them to maintain the groundwater elevation at an acceptable level below the surface elevation. 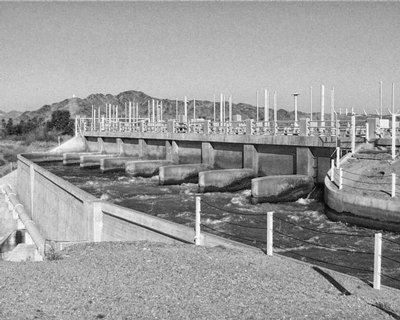 Subsequently, in 1962, YID entered into a contract with the USBR for construction of a delivery system to deliver water from the Colorado River. The USBR delivered the first water through the new system in 1965 and operate it until January 1, 1973 at which time YID took over the operation and maintenance.